Nothing brings back childhood memories like a trip to the zoo. Watching otters gliding through the water, seeing a giant elephant for the first time, seeing penguins waddle — there’s something extraordinary about seeing animals through the eyes of a child. These are the kind of memories to reflect back on with your parents, grandparents, and your own children. The world becomes a better place when children care about all livings things. Animals teach children valuable lessons, about empathy, conservation, the environment, the circle of life — lessons that follow children into adulthood. Lost at the Zoo is an educational app that fosters this kind of love. 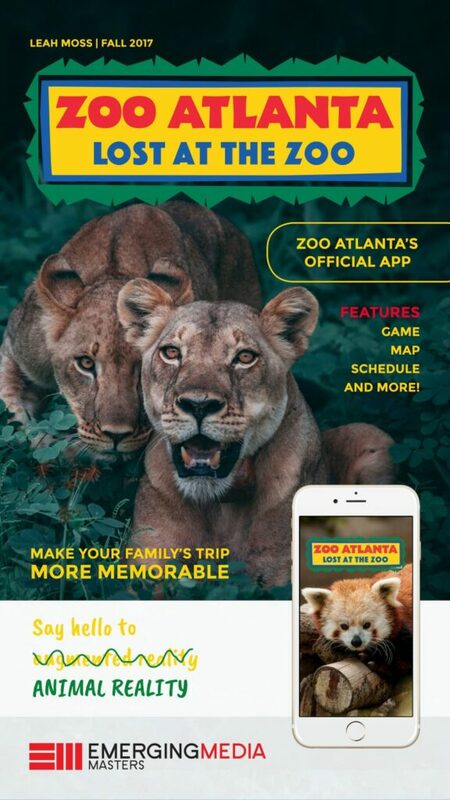 Lost at the Zoo is the official mobile augmented reality app of Zoo Atlanta. It creates a more memorable zoo experience for both children and parents.